Posted on October 15, 2014 by Ronald Patrick Raab, C.S.C. 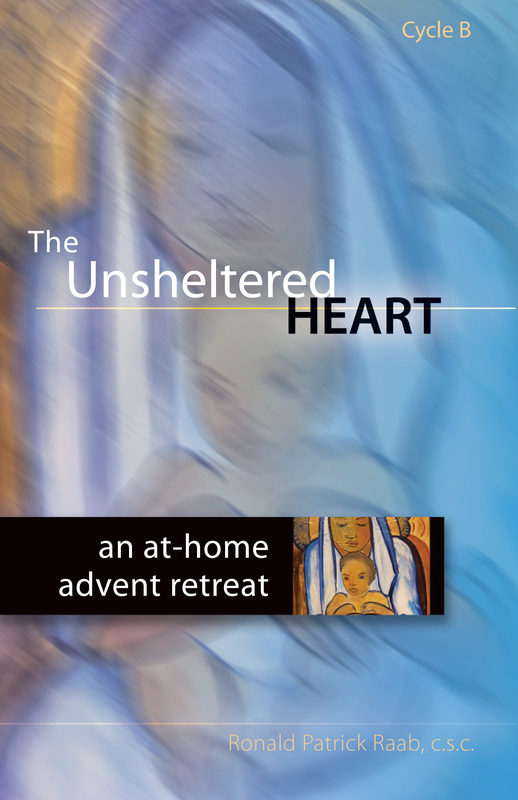 The Unsheltered Heart: An At-Home Advent Retreat was first published in 2011. This book is for the B-Cycle of liturgical readings that begins this Advent. This is the last time this book will be published, so join me for this at-home reflection this Advent. Click here to order the Unsheltered Heart from Ave Maria Press.